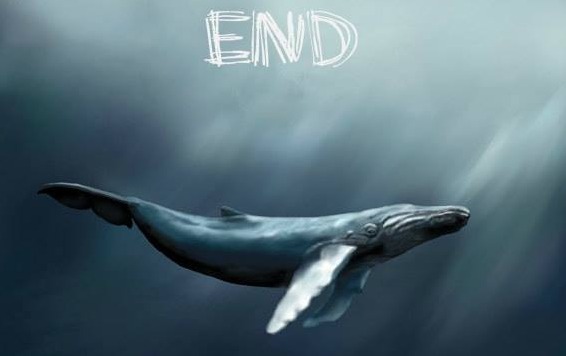 Blue Whale Challenge: On Saturday, the boy named Manpreet Singh Sahani allegedly committed suicide to complete a 50-day dare challenge “Blue Whale Challenge.” The 14-year old boy jumped from his seven-floor building terrace and killed himself. Manpreet lives in Andheri East in Mumbai. Few cops say that the boy is addicted to the game called ‘Blue Whale’ is a 50 day dare challenge. The game gives players 50 dares which range from watching a scary video to drawing on arms with sharp things. Blue Whale Challenge game is started in Russia which took almost 150 lives, and Manpreet became the first victim from India. The police found the suicide pact from Sahani’s friend’s Whatsapp group. According to the investigation, Manpreet has been using the internet to find ways to jump from the terrace. On the day of suicide, Manpreet went up the terrace and sat on the parapet for almost 20 minutes. The neighbours saw him sitting on the wall and warned him, but as they could anything, he jumped off the wall. The boy’s parents said, his behaviour had changed completely from a week before but did not expect him to commit suicide. A police officer who is the part of the investigation said that Manpreet even took a selfie and posted it in the group. Cyber-crime expert Vijay Ram Mukhi stressed on the need of vigilance among parents, rather than blaming the game which is almost impossible to stop. The police are still investing the case from all the angles. The boy left no suicide note, so it’s difficult for the cops to trace the evidence.